It seems as though every New Year spent in Germany follows the same pattern. This year though, there was one major difference. 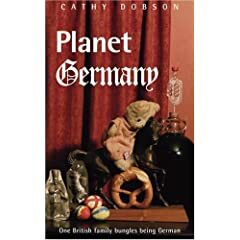 Instead of writing about Dinner for One, Bleigiessen and fireworks here, I posted about it on Birds on the Blog, where I also have a column. You can catch up with my New Year’s Eve experiences there. We have reached that phase of the Summer that my entire family dreads. It’s the time of the courgette-glut. (If you’re American… that’s zucchini). 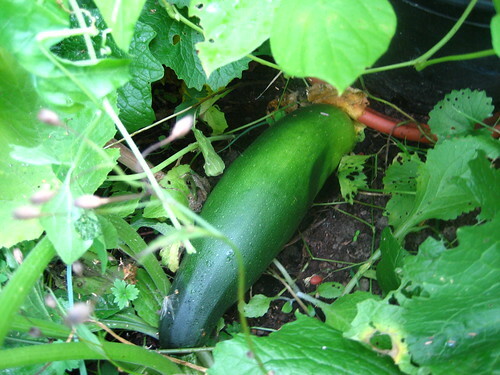 Every meal contains courgette in some form or other. Stuffed, baked, fried, frittered… and of course by now, none of us can bear to look at another one! As a keen amateur vegetable gardener, of course I planted far too many of the things. And while we were on holiday, they grew and grew. English courgettes eventually turn into marrows. German courgettes turn into zeppelins. I’ve tried giving them away… but by now, the neighbours disappear into their houses when they see me approaching and slam the door. I thought about leaving courgettes on their doorsteps anyway… but I suspect they’d be returned, along with their own spare courgettes. The only answer was to be creative about courgette recipes. To find something that everyone would eat and not even dream there could be courgette in it. 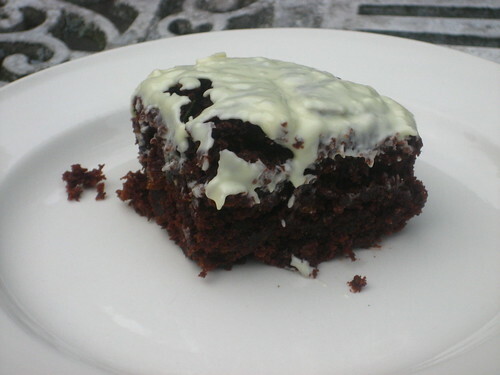 Dearest readers… I bring you, the courgette chocolate brownie! 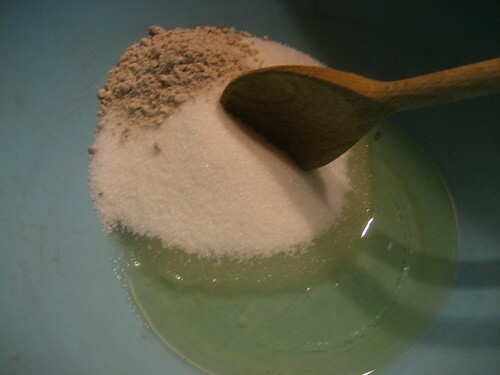 First, mix half a cup of vegetable oil with one and a half cups of sugar and two teaspoons of vanilla. 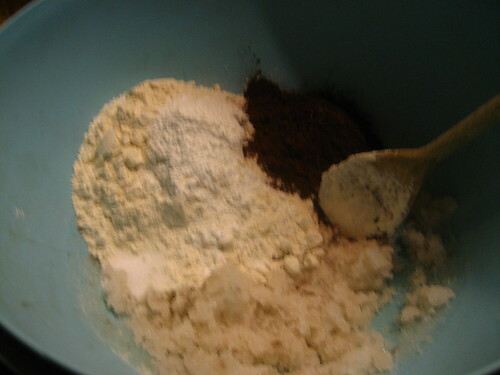 Fold in two cups of flour, baking powder, a teaspoon of salt and half a cup of cocoa powder (unsweetened). 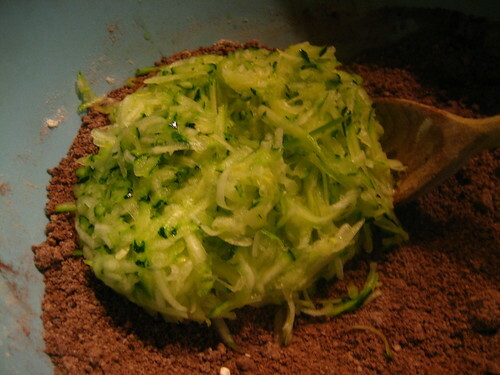 Once it’s mixed, add two cups of grated courgette… yes really! 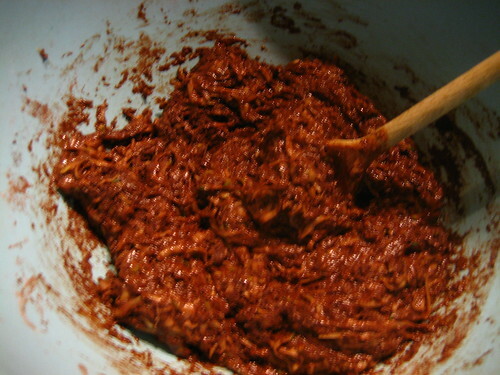 The moisture in the courgette makes your fairly dryish mixture into a gloopy chocolatey batter. 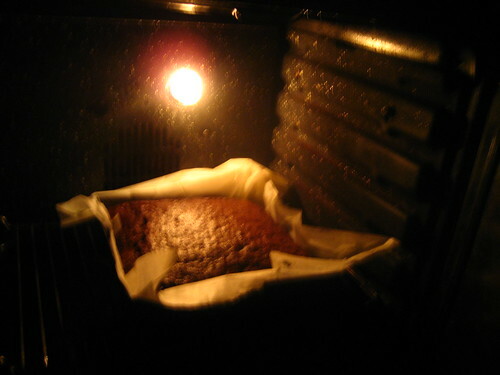 Stick the whole lot into a lined, greased baking pan and bake at 180°c for about half an hour, or until the top is firm and slightly springy. The result…. 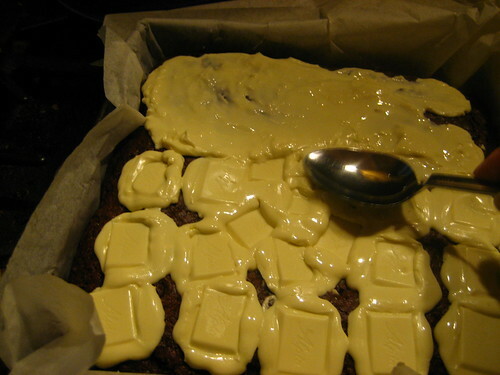 delicious moist chocolate (courgette) brownies, which nobody will even believe contains courgette! I wonder whether I should take some round to the neighbours….